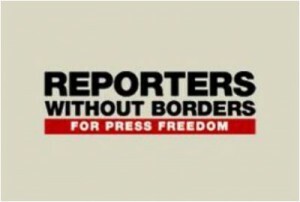 Reporters Without Borders a not for profit organization has initiated a new website in a bid to help journalists from countries where cencorship is rampant especially in the Eastern sphere. This site will allow the long-suffering journalists a platform to be heard, as their stories will be published on a stage that will be free from censorship. WeFightCensorship.com is the name of this new opportunity for oppressed journalists. Journalists who hail from regions where there is oppression or a curtailment of the rights to access the internet as well as the media have a chance to so in the website. On this site, the journalists can circulate their message to the world anonymously, ensuring their safety at home. The organization is of the opinion that there should be an alternative for these oppressed journalist and they have taken it upon themselves to ensure that they provide the solution. In the recent times, quite a number of countries have taken to censoring journalists and publications that are deemed undesirable; this is why Reporters Without Borders are stepping in to fill the gap. This will ensure that the world is in touch with the happenings in these nations. The website is configured in a way that it will not trace or identify the authors of the information and will go farther to post a reason why the details in the particular posts have been censored. To ensure that people can access the information the website has gone a step farther y having the posted articles translated into English and French. RWB have pointed out the benefits to be accrued with the utilization of this stage over individually owned sites or blogs. The difference between those and the new website is that the website offers inscrutability in addition to having servers that are located offshore creating some additional security to the sources. Reporters Without Borders have established that it is more risky for the journalist to have their own websites as they are easier to for cyber police of governments to gain access and conduct a trace. Journalism, is unfortunately not the only sector targeted online from various quarters, citizens too have not escaped.